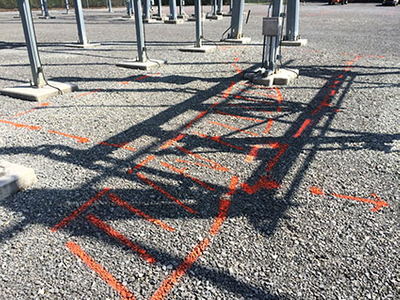 GPRS was recently called out to Knoxville, TN to do a utility locate at the TVA West Hill Substation. The purpose of this scan was to locate any utilities running in area where new foundations were being installed. It was unknown what utilities they might encounter while installing these foundations. Prior to proceeding, they contacted GPRS of Tennessee to gain the information needed to safely excavate so they didn’t compromise any existing lines during the construction process. For your next project in the Chattanooga, Knoxville, or Tri-cities area contact project manager Mitch White at (865) 206-7639 or at mitch.white@gprsinc.com.